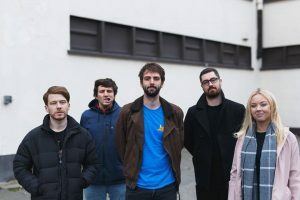 WEXFORD four-piece Corner Boy have given up on music’s well-trodden trails. 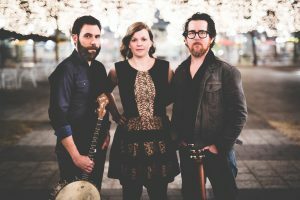 That’s not a bad thing: with the long-awaited release of their third EP around the corner, the imaginative folk act have settled on slow-dripping their music, and making the most out of the opportunities that it throws up. Instead of recording records or seeking deals, they’ve traveled the world in the back of a transit van. There’s also a cyclical nature to the new EP ‘Goodbye Old Holy’, in that it returns to the scene of one of Corner Boy’s early successes. The band won the Red Bull Bedroom Jam in 2013, just as they started out. The contest that had a prize of recording in the famous Grouse Lodge Studios in Westmeath. They loved the place, and returned again for this record, with Dropkick Murphy’s producer Ted Hutt on the sound decks. 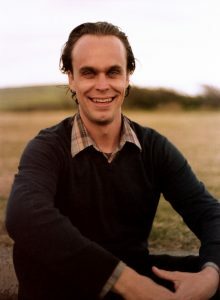 American-born but Galway based composer Peter Broderick is a bit of an international enigma. 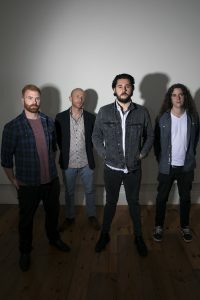 Despite relocating to Barna, the contemporary composer has found his career has taken on a highly international flavour. Broderick was key to the way fantastically inventive Danish act Efterklang converted their more orchestral edge into a live setting, and has also worked with the likes of Yann Tiersen, Phillip Glass and Dustin O’Halloran. His most recent project is the construction of a score around the short film ‘Two Balloons. The collaboration with director Mark Smith has a nice sense of symmetry to it, in particular as the movie is part-inspired by an earlier piece ‘More Of A Composition’. Congratulations on the score. I understand you worked closely with the producer to break this down almost frame by frame. How complicated does that get, musically? When it came time to fit the music to the picture, it really was just a matter of watching the film over and over again while playing the piano along with it, getting a feel for the rhythm of the story. The timing of different chapters and certain particular shots in relation to the music felt very important . . . but it was just a matter of repetition and practice until it felt just right. I believe Mark Smith searched you out to write the music for this movie. What did you think of the film when he did so? When Mark first reached out to me, he hadn’t even started shooting the film yet. He just had the story in his head and he seemed to know from the beginning that he wanted this particular melody from a song of mine to be used in the film. At that point, I didn’t really know much about the project, but I loved Mark’s enthusiasm and sincerity from the beginning, so I agreed to work with him from the start purely based on those things alone. 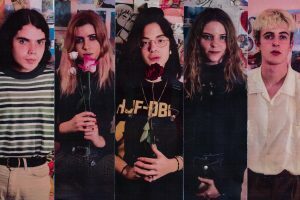 Reading youngsters Valeras are setting off on their first ever headline tour, having met at a weekend rock school in their distinctly guitar-loving hometown, and supported The Wombats, The Amazons and Demob Happy. I understand this is your first headline tour. How does it compare, psychologically, to the various support slots you’ve been playing before now? There’s slightly more pressure to getting everything the way we want it to be, but also there’s a lot more excitement because its our first headline tour. You quite literally went to rock school. Put aside our movie images for a minute… how well does that work for prespective musicians? We went to more of a summer camp, it was only for a weekend and it was just like one group per day. It wasn’t quite a rock school but it was a good organisation for young people to meet other likeminded musicians. If it wasnt for The Rock Academy then we wouldn’t have met. Are you thinking about an album at this stage? Do you have any idea what it would be like? We’re always writing and looking to release new music as it comes, so we’ll see where this year takes us! Guitarist Max Zaska is a hard man to put in a nice, easy-to-grasp box. 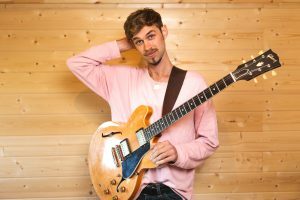 A brilliant guitarist and adventurous songwriter, he eschews genre convention, preferring to flit between funk and R&B, pop and soul. The result if often bright, bubbly and bouncy. His approach to performing is similarly atypical. Zaska’s forthcoming debut album hosts something of a who’s who of Ireland’s more interesting musical fringes: BARQ, Come On Live Long, Little Green Cars, Super Silly, Loah and Wyvern Lingo all have members who have chipped in on vocals or instruments, taking roles that Max himself jokingly says he’s utterly unable to fill himself. It’s hard to peg precisely what Zaska is, then, apart from a project led by a man who’s clearly not short on vision, or on friends (Hozier has also been a regular feature in his career). The inventive musician finds his finest moments is big, bold, diverse collaboration. “The album title, ‘It Takes A Village’, comes from the way this album was put together, both with all the collaborations and with the FundIt [crowdfunding] campaign that’s supported it,” Zaska told the Gazette of his debut. The result is brave and bold. Zaska’s new single is a swipe at Dublin’s increasingly prominent housing crisis. In the imagery around ‘It’s Ridiculous’, you can see the songwriter perched outside the Central Bank in a cardboard box labeled ‘two-bedroom apartment’, grimacing and clutching another piece of cardboard with the song title penned on it in marker. I remember being told back when I started writing for publication that almost everyone who writes to a high standard reads a lot, too. I’m not sure I quite believed it at the time, but I’ve found myself more and more drawn to well-written tomes over the years, so much so that this particular blog post has just about become an annual tradition (here’s 2017, and 2016). Who knows if any of it’s actually rubbed off! Thomas McFadden was a long-time and seemingly quite effective drug smuggler who ultimately got tracked down and arrested in Bolivia, where he was sent to the notorious San Pedro jail. In this book, a young journalist who was able to buy his way in and out of the jail to talk to McFadden, uncovers the surreal side of his life. McFadden became a tour guide, showing travelers around the jail. He learned that the prison was the primary source of the drugs he was once famous for buying, with production taking place in areas that the guards couldn’t get near. He bought prison ‘property’, and his own safety, and even found a way to get out of the jail for the night, meet a new girlfriend, and then have her move in with him in San Pedro. Obviously, I have no idea if San Pedro is still like this (the book was published in 2011), but the insight here is breathtaking. 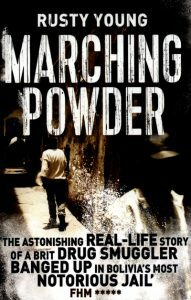 The kind of book I had to stop reading to tell people about what was going on: brilliant. On finding love in a hopeless place. 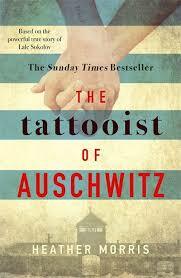 This is the story of a multilingual Slovak Jew who ended up in the notorious Second World War prison camp, where his language skills and a bit of good luck landed him the job of Tätowierer, the man who tattoos those famous and dehumanizing numbers on new arrivals. There’s an element of mild Nazi-collaboration to Lale Sokolov’s story, but a greater sense that in amongst the sickening world he’s come to occupy, he’s just doing what he has to in order to survive. For all it’s hard-hitting glances at the prison camp itself, though, it’s the delicate love story that’s what this book is really about. It’s wonderfully delivered, to the point that the grim surroundings almost seem to fade into the background for a while. The ending is powerful, too. King’s tale is a familiar one to our shores. He left his native Dublin as a late teenager, in search of something bigger, and a chance of success. He was drawn to LA, and found himself a regular in a bar called Molly Malones. There, he performed, met his wife Bridget, and eventually encountered the rest of his future bandmates. Nearly a quarter of a century ago, King – at the time a rock vocalist with a band called Fastway – became the frontman of cult Celtic punk band Flogging Molly. 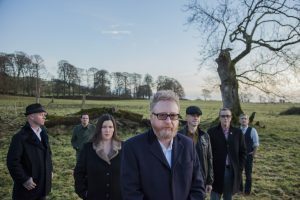 Flogging Molly’s music is a distinct fusion of Irish trad and embittered punk, as well as of the political and personal. One of the band’s biggest hits ‘What’s Left of the Flag’, for example, superficially seems to be about raising the tattered relic of a country high and proud, but is actually a tribute to King’s late father. Latest album ‘Life Is Good’ – at first glance a deeply sarcastic reference to the bitterness within – is actually a tribute to his mother. After what King describes as “a hard life,” she turned to him on her deathbed and asked him to live his to his full, as she had. He’d always seen her as struggling, but she felt differently. Tell me a little about the new single. ‘Just In The Band’ is a song about being in a band inspired by our own experiences and what we imagine it was like for the likes of Iggy Pop and others. It’s also one of our favourite songs to play live. You get some interesting comparisons when it comes to other acts. Are there any you particularly like? Any weird ones? We got compared to The Wire last week, I enjoyed that one. I take the ‘Pavement’ and ‘Television’ comparisons as a compliment, we definitely ‘borrow’ a few of their tricks. Both bands had their own unique sound and I’d like to think that we do too. You seem to have a full-on DIY ethos. How have you found forging your own route? Doing it DIY was initially a necessity and eventually became a natural progression that made sense for the band. We’ve never really known anything else and it’s been fun, but it’s not necessarily and ethos we’re married to. A good few of our favourite bands started out this way (Yo La Tengo, Sonic Youth). I think it often stands to a band if they’ve been doing things for themselves and writing songs for a number of years before they get picked up by a wider audience. Has it been useful to move on from the ‘bedroom project’ concept and flesh things out a bit? It definitely has. When we were releasing songs recorded in our bedrooms we were intentionally writing music that would suit the lo-fi ethos and our very limited recording equipment. Moving to a full band and a proper studio has allowed us to be more adventurous and have much more freedom with what we can write and record. The likes of ‘Dunkirk’ and ‘Just In The Band’ would have never worked if we had tried to record them in our bedroom.